One way to create an unforgettable dining experience is telling a story through a restaurant’s interior design. Stories create memories, and good memories bring customers back. When it comes to a space that targets both kids and adults, the story become even more important. 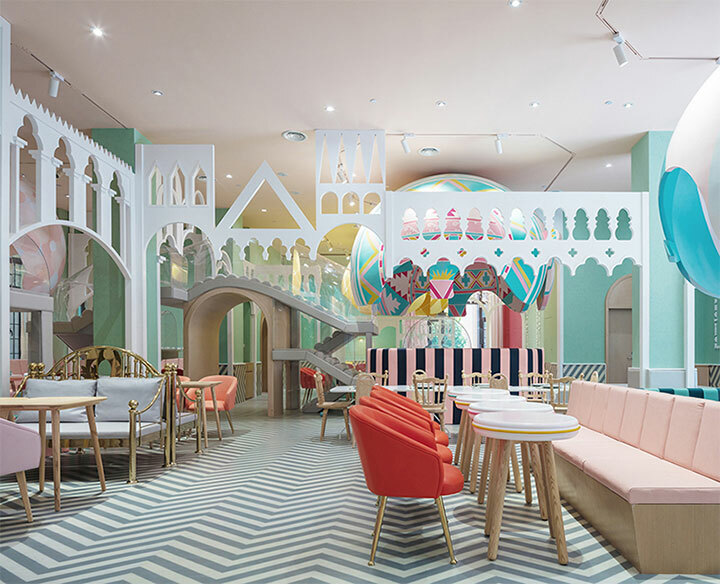 The Neobio restaurant in Shangai, China, creates a fairy-tale ambiance with its smart interior design dreamed up by the architect and designer Li Xiang and her X+Living team. White cutouts placed all around the area of the restaurant give it the aura of a castle, yet the light color and the graceful, supple lines of these wood elements make the interior rather dreamy. 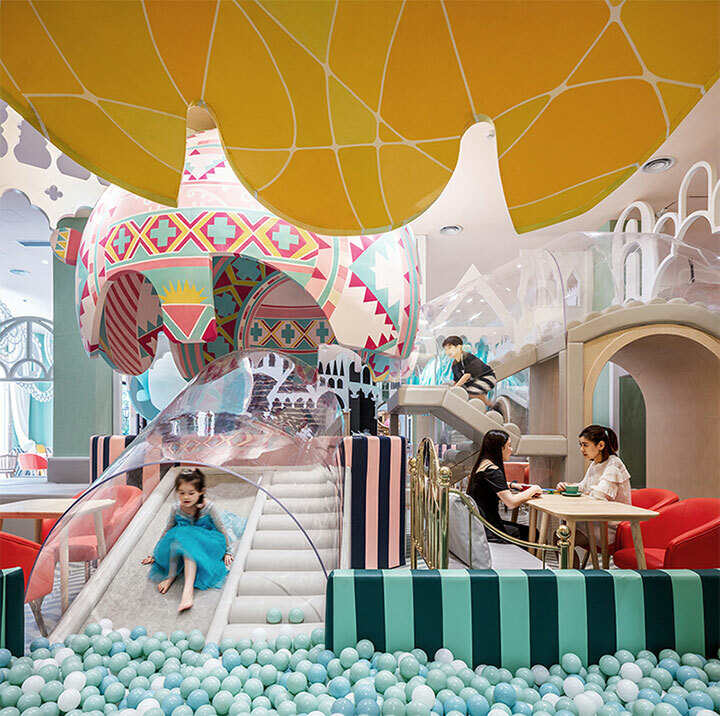 Against this background, other elements in both pastel and vibrant colors add to the story: mythical creatures, hot air balloons and transparent tunnels that invite children to move between different areas and explore. 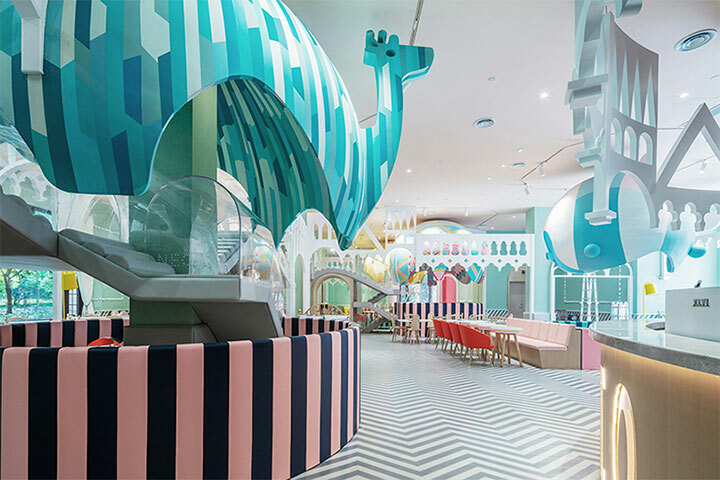 The Neobio restaurant design is proof that an interior created with children in mind does not have to be tacky, nor to rely on a combination of strident primary colors. This is a place where adults can enjoy the relaxing, clean and airy color palette, the modern furniture and even a bit of glamor when using the gold-framed benches in the sitting area. Another type of story is told by the interior of the Il Mercato Gentiloni restaurant in Saltillo, Mexico. While mixing elements of both Mexican and Italian cultures and offering plenty of decorative detail, the restaurant design, brought to life by Cadena+Asociados, has an ambiance defined by one simple addition to the design mix – a series of white wheel carts that give the place a whimsical and dynamic feel. 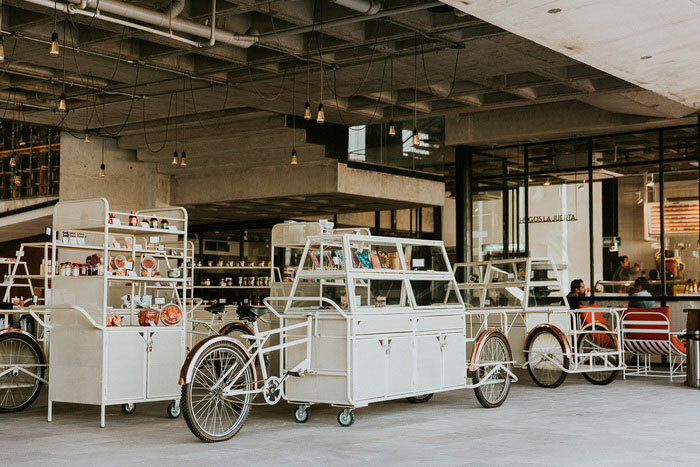 A cross between street vendor carts and bicycles, these mobile additions call to mind carefree vacation days spent walking up and down cobblestone streets, where delicious treats wait just around the corner. 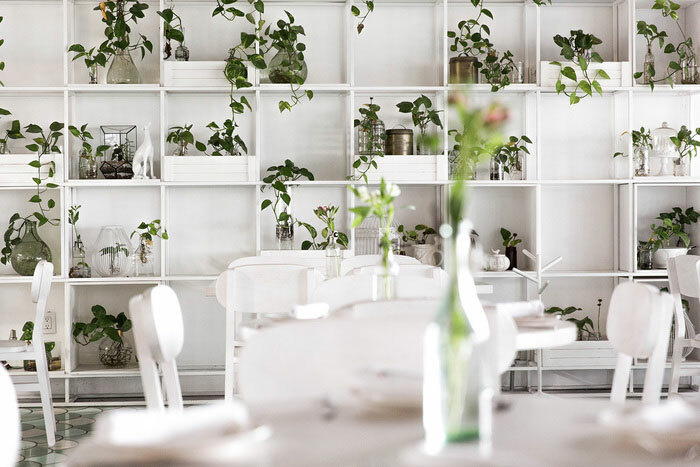 Inside the restaurant, the white theme continues with simple furniture and shelving laden with greenery, a combination that keeps the interior light and fresh.